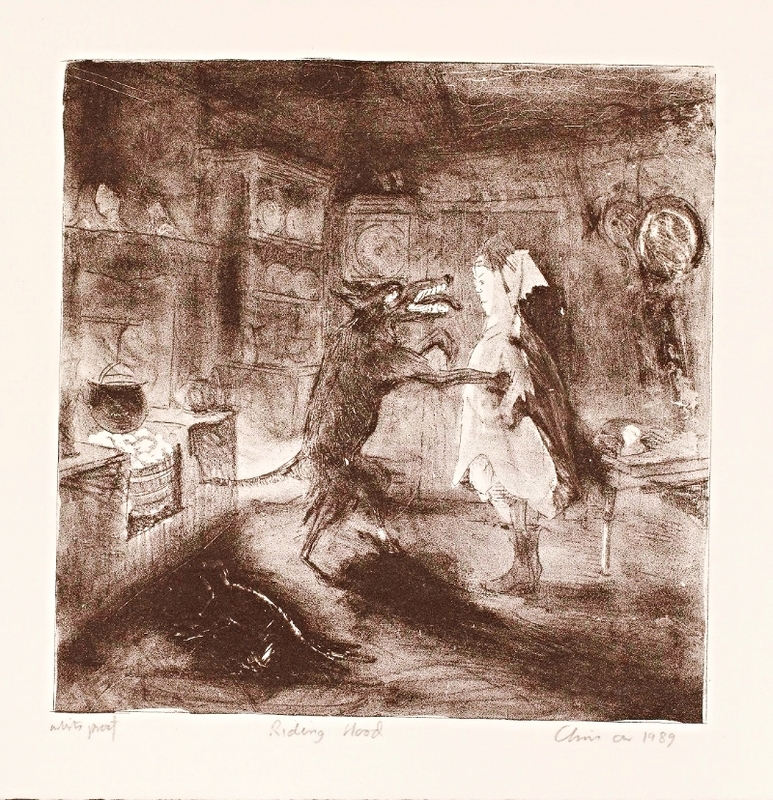 Christopher Orr MBE RA (born 8 April 1943) is an English artist and printmaker who has exhibited world wide and published over 400 limited edition prints in lithography, etching and silkscreen. Orr was born in Islington, London. After studying at Ravensbourne and Hornsey Schools of Art he graduated from the Royal College of Art in 1967 with an MA in Printmaking. He was made a fellow of the Royal College of Art in 1985, a Fellow of the Royal Society of Painter Printmakers in 1988, elected Royal Academician in 1995 and appointed Professor of Printmaking at The Royal College of Art 1998. Combining his work as a full-time artist with teaching, he has also taught at Cardiff College of Art, Central St Martins, London and at the Royal College of Art, London. 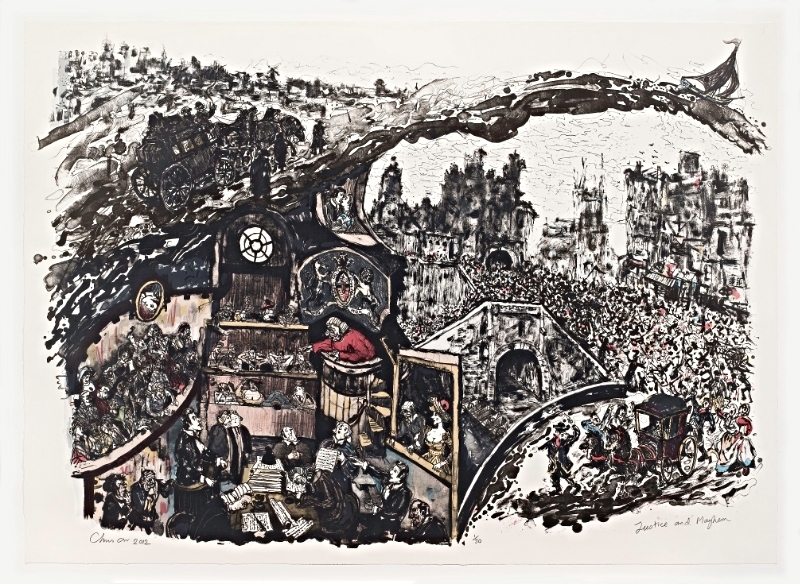 His work is best described in his own words "During my thirty nine years as an artist I have been put in various pigeon-holes, such as 'quintessential English' or a 'latter-day Hogarth'. But are these epithets reasonable? My pictures are composed of well-mixed metaphors, references, allusions jokes and descriptions. Does 'Chris Orr-like' refer to a typically English muddle? 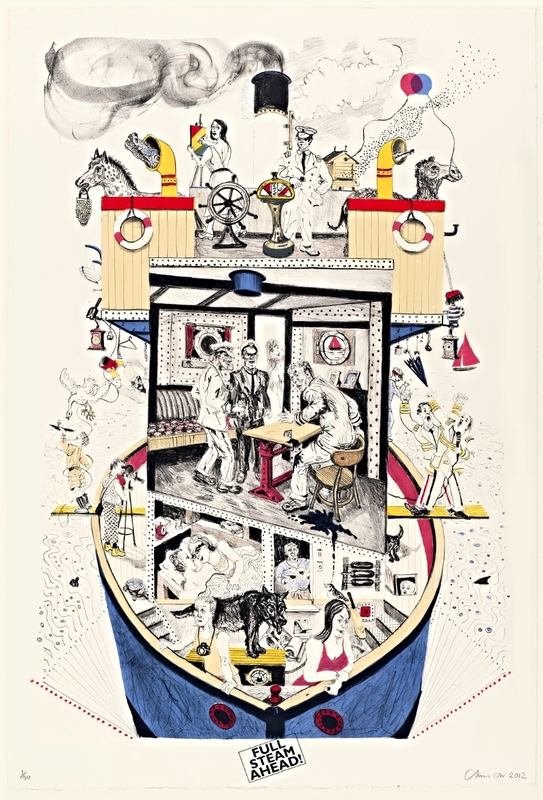 The tradition of graphic eccentricity (Heath Robinson, Donald McGill, Steve Bell et al.) is fair enough, I am happy to acknowledge many influences in this area." 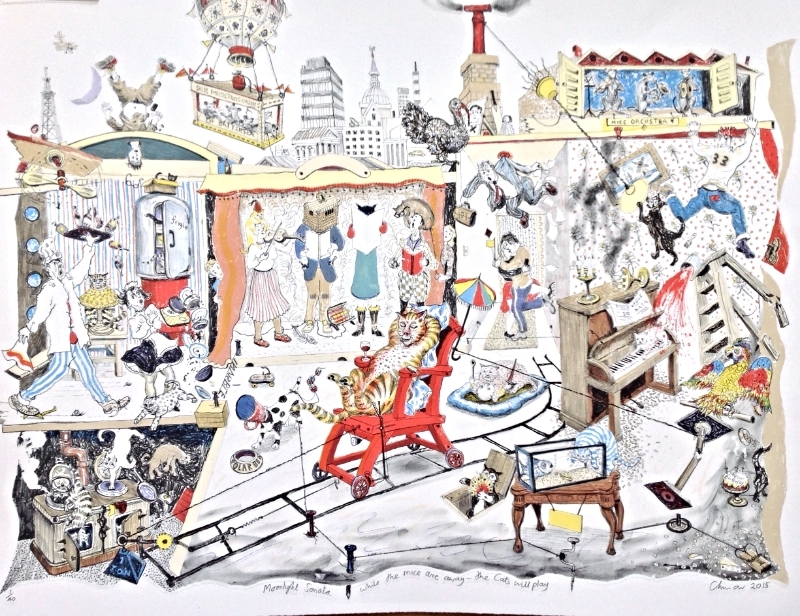 Chris Orr has had many one-man shows internationally, including Britain, France, America, Australia, Japan and China. 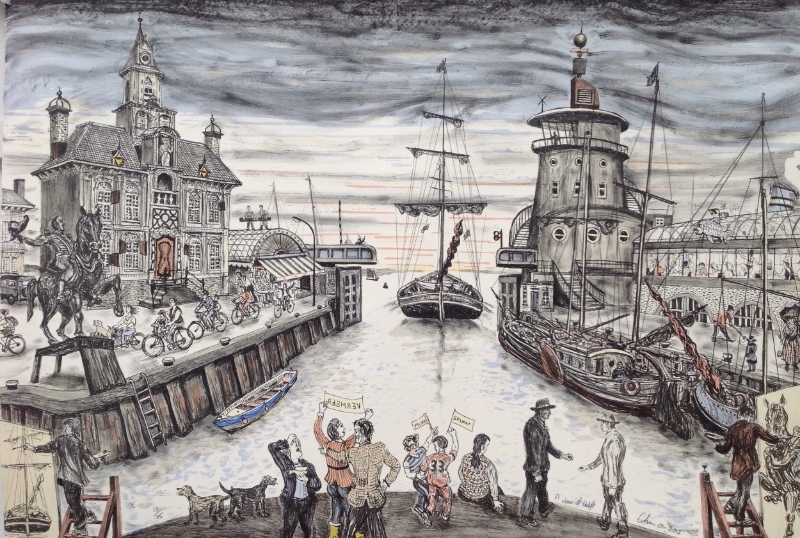 He is represented by the Jill George Gallery, where he has been regularly exhibited since 1978.